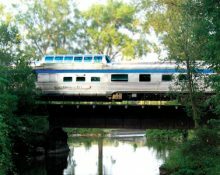 Available only for operations off the Amtrak system. 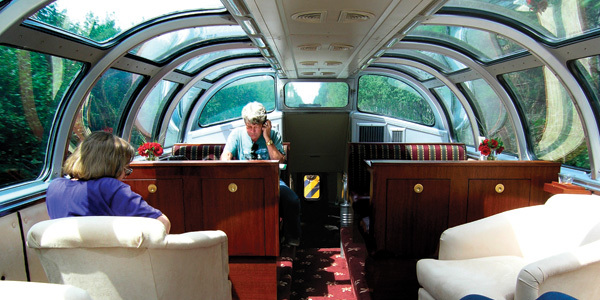 Enjoy the view from the upper level dome and watch the countryside from the rear observation lounge. Marvel at the original mural and cut-glass windows in the Mural Lounge. Experience five-star service from the staff while savoring fantastic cuisine prepared on-board. 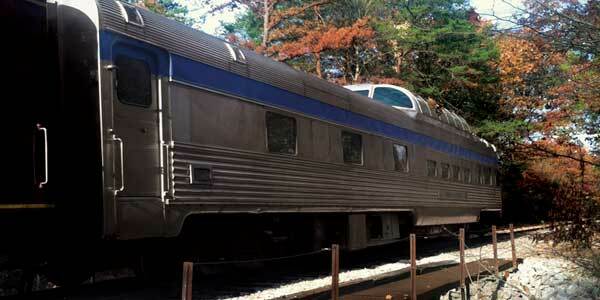 Fall asleep listening to the sounds of the rails in your private bedroom or drawing room. 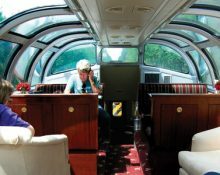 Originally built for first-class service on Canadian Pacific’s number one transcontinental route, The Canadian, in 1954 as a dome, observation-lounge-sleeper. 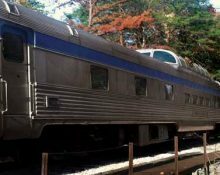 Numbered 15401 for Canadian Pacific, later used as number 15501 on VIA Rail Canada’s premium service for the same route. Purchased in 2004 and renovated to five-star resort status.